Johannesburg- With great anticipation, the Inanda Club announces the Inanda Polo International SA vs Argentina match to be played on Saturday, 11 May 2019, marking the peak of the South African polo season, headlined by AON South Africa. Inanda PoloThis event is a highlight on the sport and entertainment calendar and spectators can look forward to a match that promises to reignite the age-old rivalry between the best of South Africa and Argentine polo; The game set against the spectacular backdrop of Jozi’s business hub, Sandton will be played at intense high speed, requiring peak athletic conditioning of both horse and rider. Polo, the oldest of Equestrian Sports, a game of Central Asian origin, was first played in Persia (Iran) at dates given from the 6th century BC to the 1st century AD. Polo, or “The Sport of Kings,” as it is often referred, is frequently thought of as something that extremely wealthy people do for fun. And it is. But it also has a fascinating history, especially in an Argentine context. In terms of sports in Argentina, you might think of soccer or rugby initially. Polo is perhaps not the first thing that would come to mind. You might think of British high-society and the royal family when you think of polo, but what you may not know is that Argentina is the top-ranked country globally for participants of this elegant sport and has the highest ranked players in the world, including the top player, Adolfito Cambiaso. players with some of the best athletes whose legacy from the field of polo will live on for generations to come. Argentina offers an ideal setting for polo in many ways. Firstly, the flat surfaces of the grasslands, or pampa, or flatland, were ideal for the British settlers who brought polo to Argentina. Secondly, the pampa is also perfect for breeding and training horses. One of the top clubs is the Coronel Suárez Polo Club, which has more than 60 active polo players, including members of the Araya and Lalor family, who took part in last year’s Inanda High Goal invitational. Today, the level of play and the amount of polo being played in Argentina is higher than ever in the game’s history, generating rapid global expansion in participation and spectatorship. Indeed, in the current world rankings, nine of the top 10 players are Argentinean, as are 15 of the top 20. While polo in South Africa may have an elitist image, in Argentina it is a populist sport, with big matches attracting large crowds and being broadcast live on global television. This year the stakes are high as the final game of the 2018 Inanda Invitational saw the Inanda Club team defeat the Argentine Coronel Suarez Polo Club team, by a 5-7 lead, in a one hour and 30-minute action packed match. The Argentinean visitors will require thoroughbred polo ponies known for their endurance and for their speed and grace to play the match and these will be provided by the Inanda Club and other polo clubs and polo players throughout South Africa, Each polo player requires 8-10 horses on the field per game, while the umpires need 4 horses meaning that there are between 70 and 84 ponies at play at any high-goal match. 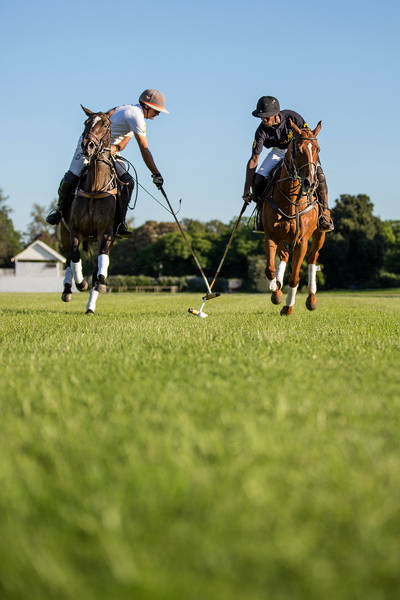 Polo aficionados will flock to the event to see the world’s best players display their formidable skills on the field celebrating in the merriment of Argentine culture, the day will offer exhilarating polo combined with history and traditional Latin music – the iconic Tango. “With enthusiasm, we welcome AON South Africa on board as not just the headline sponsor for the 2019 Inanda Polo International, but a partner to Development Polo and its young and novice players who will shine in the curtain raiser of the Inanda Polo International”, said Paul Oosthuizen, Inanda Club General Manager.